Of all the characters in all the films in all of Hollywood history, I have chosen Woody from Toy Story as my F/W 18 muse. Yes, really. Back in January, while browsing my favorite Covent Garden vintage store, I found myself reaching for a decidedly Western-inspired horse-print shirt. Then, a few months later, I nabbed a cow-print suede coat that would not look out of place in a Spaghetti Western. The obsession was officially set in motion and gaining momentum. For example, my next two purchases were a denim shirt and a red neckerchief. Fast-forward to summer 2018, and the high street was awash with Woody-inspired pieces—from cowboy boots and fringe jackets to checked shirts and dark denim. The concept creeping into my wardrobe over the previous months had finally crystallized. 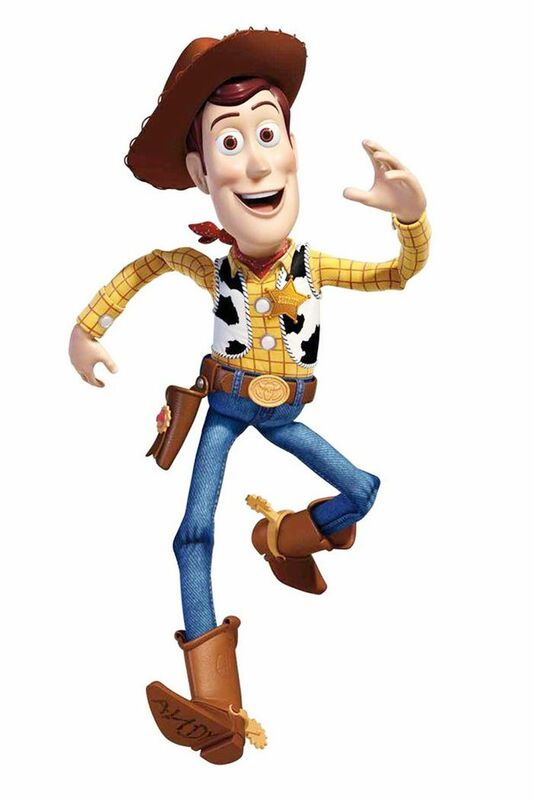 Style Notes: Woody from Toy Story is so on trend this season. Alexa Chung, watch out. Let's look at the facts: Woody loves a cow print, he rocks a red neckerchief, and he's never seen without his signature brown cowboy boots. Even his checked shirt has a certain Balenciaga vibe to it. He is so ready for F/W 18. In response to this revelation, I decided to challenge myself to go full cowboy for three days straight using pieces I already have in my wardrobe. I wanted to capture the flavor of the Wild West without looking like I had just left a costume party, so vintage pieces ended up playing a big part in my chosen outfits (there's something amazing about an authentic, pointed-collar '70s shirt, after all). I also made the most of the high street's bountiful offering of brown corduroy. The result was a sort of hybrid of '70s and Wild West style that I'm definitely going to embrace as my F/W 18 mood. Thanks, Woody! Scroll down to see my outfits and also how the fashion crowd has worked the cowboy trend. Style Notes: Double denim is one of the easiest ways to try the Wild West trend. I opted for a vintage lace-detail shirt, a pair of flaredTopshop jeans, and, to finish off, a Woody-inspired paisley-print ASOS neckerchief. Style Notes: Cow prints: They might not be the easiest animal print to style, but I like the fact that it feels a little different from the many leopard offerings around at the moment. The key (if you're not a maximalist dresser like me) is to keep the print contained, so I took the belt off my suede coat and paired it with an Arket tee and a vintage, calf-length beige skirt. Note: I'm still looking for the perfect pair of Western-style boots, but Office's pointed ankle boots work just as well in the meantime. Style Notes: This season's corduroy trend has a definite Wild West vibe about it, especially when rendered in a throwback brown color. I love the high-waisted fit and kick-flare silhouette of these & Other Stories pants. Plus, they work nicely with my '70s horse-print shirt. Style Notes: Emili Sindlev dips her toe in the Western trend with a pair of brown cowboy boots—the perfect accompaniment to a floaty summer frock. Style Notes: If you were wondering what head-to-toe Wild West style looks like, then check out these two. Their outfits might toe the line between costume and fashion, but they make it work. Style Notes: Patterned cowboy boots are the ultimate statement accessories and will add character to any autumn ensemble. Style Notes: Hanna Stefansson delivers a more pared-back interpretation of the Wild West trend with a white jumpsuit and black cowboy boots.